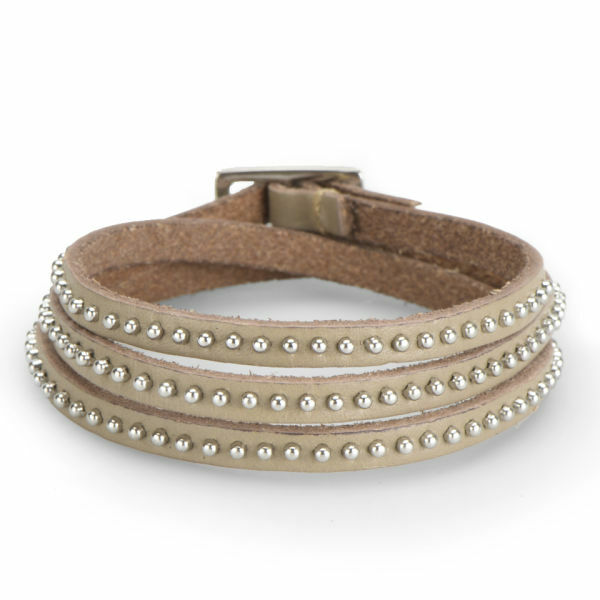 Adjustable in size, the Markberg Women's Marissa Skinny Studded Leather Bracelet in latte brown is crafted from real leather and is accentuated with studs all the way around. 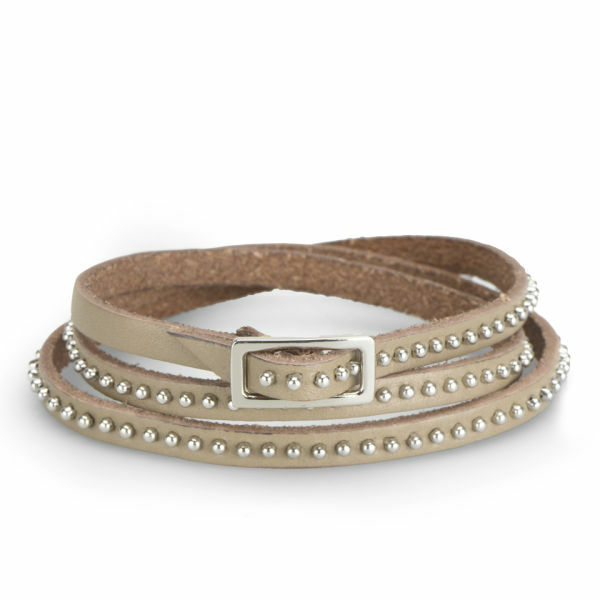 With a metal buckle, it's a must have accessory. K.D.